Many people have asked me recently 'Why Aerospace' while there is no simple answer the easiest one is probably why not. I recently realized that I did not really have a hobby, other than training for a marathon, which is not really a hobby and decided that I would look around for one. So one day I was watching a documentary that mentioned rocket engines, so being the curious person that I am I decided to research how rocket engines work and spent a few days reading on the current rocket technology and upcoming rocket technology, and from this I found model rockets online and decided that I would be interested in pursuing this further. 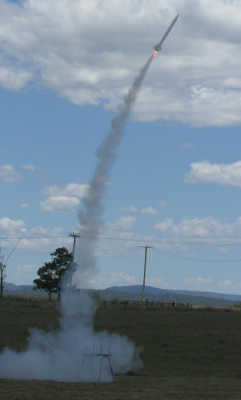 I then looked around for local rocket clubs and found there was one located close by the QLD Rocketry Society, and decided that I would drop out with +Sunnie Snell for a look and see what this local club was like. I had read up a lot on model rockets and understood the basic concepts, but wanted to speak to some people who fired rockets regularly. From the moment we arrived we found everyone there to be extremely helpful and ready to help with anything to do with rockets. We watched a few rockets getting launched, which is a real adrenaline rush and I decided that I would join the club. Wind blowing my rocket off course. 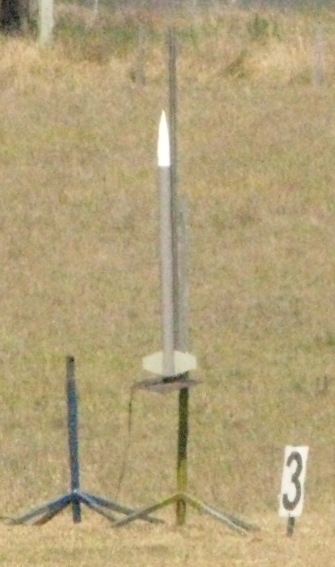 Callisto rocket fired on F40 motor. A few days later I dropped in to see Australian Rocketry, and joined the Queensland Rocketry Society club, and bought some rocket equipment ready for my certification flight. And had some more questions about constructing the rocket and how to fire it, all of which was answered happily. I had researched much of this already on the Internet, but wanted it confirmed and clarified. I also read a lot about rocket technology and the theory of rocket flight, what was very surprising was that many of the articles and papers where. From the 1960's and 1970's, especially about rocket flight. There was one more modern papers on rocket engines, specifically Hybrid engines, which are a relatively new invention. When the curiosity rover from NASA landed on Mars, I was able to understand a lot better what technology was being used, and how hard it was to get it there, I was also able to answer a lot of questions my friends had about how and why they did different things with the landing of the rover. My background is in GIS (Geographic Information Systems - computerized maps), so I have always been interested in drones, in my searching around for rocket information I came across the DIY DRONES site, which promised make a drone as easily as attaching this hardware to a remote control plane, it was a bit more complicated than that, as I didn't have any experience of remote control planes, or even cars for that matter. But in essence once you have the basic remote control knowledge it is plug and play to make a drone. Due to safety concerns and my lack of remote control flying skills I decided to start with a rover as my first autonomous vehicle. I bought a remote control car from Woolworths as well as two remote controlled helicopters, with the idea that I would automate the car and use the helicopters to begin my flying skills. I came home and pulled the car apart and quickly realized that it looked nothing like any of the pictures I had seen on the Internet of the how remote controlled cars worked, and realized that this would not help me, so this car was relegated to become spare parts. 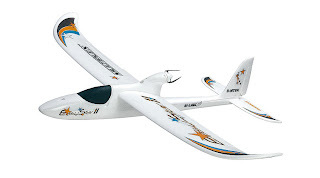 The simple remote control helicopters were used for practice and as a simple step towards flying a fixed wing model. The irony with remote controls is that the simple 3 channel helicopters are easy to fly and pretty well designed for kids and indoor flying. But once you get to full control remote control helicopters they are much harder to fly than an airplane. A proper remote car was noticed on special in the local toy world store and was purchased and this was modified to create our first rover. Once we got this rover working we took it to the large park behind us and one of my friends pointed out as we were excitedly congratulating each other in the park, after our first successful mission that to the other people in the park it just looked like we had just driven a remote control car around the park ;). As we were getting the rover ready for use, I was also trying to teach myself how to fly remote control fixed wing airplanes, I bought an Easy Star II and pretty quickly learnt that it is not that easy to fly one without any experience - as I crashed the plane from about 100 foot into the air and bent the propeller shaft. I then learnt how to repair a propeller shaft :). Much of what i have learnt, I learnt from doing wrong the first time. I then decided that the 'experts' where right and I needed to start on a simulator, which is when I downloaded the excellent free R/C desk pilot remote control flight simulator, which allowed me to add my planes into it and learn to fly them on a simulator. I also purchased a much smaller lighter plane that traveled a lot slower and used that to improve my 'real world' flying skills, before I moved back to the larger Easy Star II. Once we were confident with the APM 2 hardware and software and our setup of remote control, we set an easy star II plane up with all the components and put it up for a test and it all worked pretty well in the first few goes, it is very interesting, and nerve racking - watching a plane fly around the park following a program that you entered for it. You still need to watch the plane closely and be ready with the R/C handset in your hand to revert the plane to manual mode - so that if something goes wrong a human (me) - can take over control of the plane and make sure it is safe. Since my aerospace interest involves high explosives and high speed propellers I have been very cautious and have been taking things slowly. Any friends that have been helping me get a safety lecture and are trained in correct handling procedure, and any vehicle, engine or device is considered dangerous and appropriate handling procedures have been implemented, my friends thought I was over the top at first, so I found them some images of what can happen when things go wrong, they soon realized that I was being responsible and realistic rather than over reacting and are now more than happy to follow the safe handling procedures.